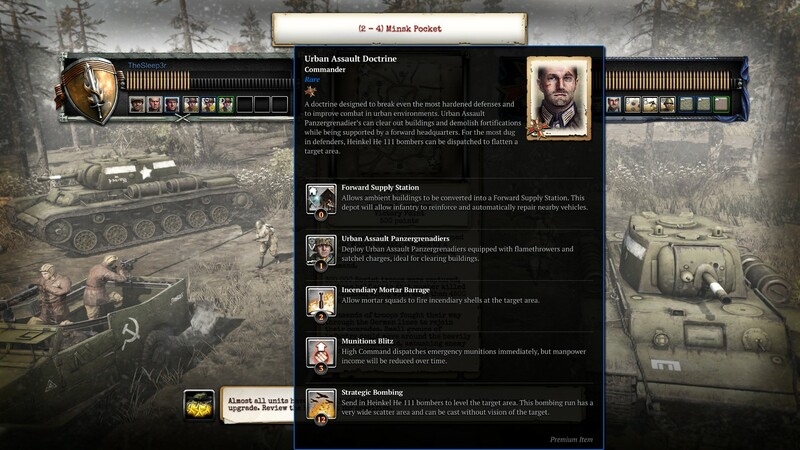 "Urban Assault Doctrine" and "Not One Step Back Tactics"
These two commanders have been laying low in the game files for quite a while, and with this whole 'commander competition' thing going on, I was just wondering if anybody @ Relic (@Andy_RE etc.) would be considering throwing these in to the update as extras, considering all of the abilities and units are fully functional and the art is already made. You guys on the forums can check out the in-game files for yourself if you're curious btw. 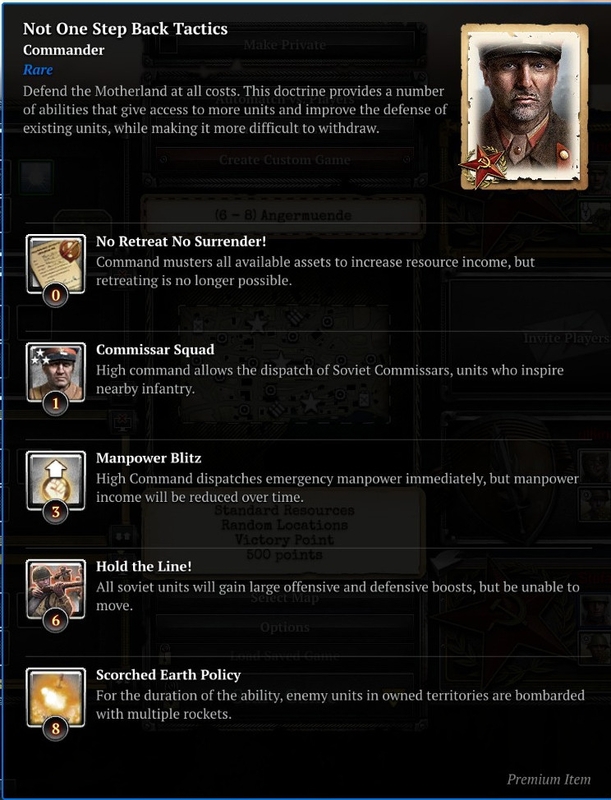 I believe these commanders and abilities were removed from the game due to balance and gameplay issues. I doubt we'll see them added again. Yupp. They are off the radar because they have been shot down. There's no longer easy resource manipulation abilities (1 click and done) not to even start on how powerful/frustrating /hard to balance some of those abilities would be. Like how much attack and defense needs to be buffed to warrant being immobile. They are messy concepts from a different time.